Installation – Canadian Rack Inc.
At Canadian Rack, we work with you from the conception of a project to the final implementation. Our in-house team of design and installation experts will assemble your storage solution on site, ensuring that all safety standards are met. You can have the piece of mind knowing that your project has been installed by Canadian Rack professionals who understand your solution from start to finish. 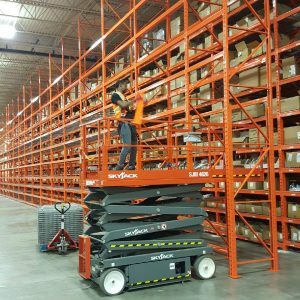 Our installation teams are also available for warehouse relocations, repairs, reconfiguration, new installations, adjustments and so much more.